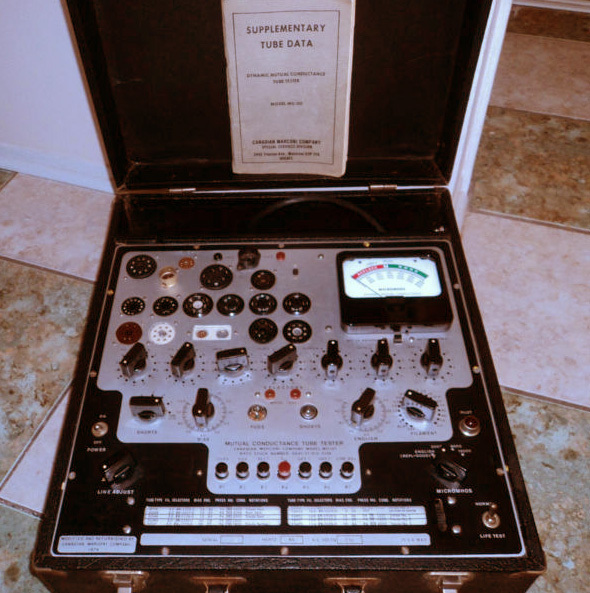 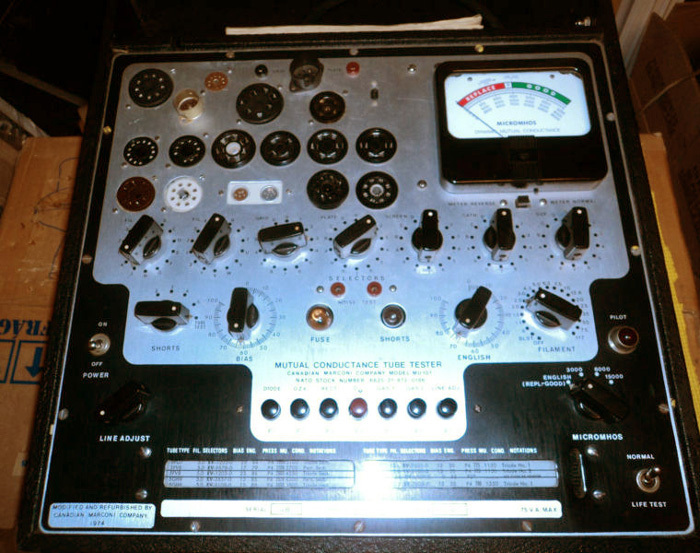 The MU101 is essentially a Stark model 9-66 Mutual Conductance tube tester which was upgraded and refurbished by Canadian Marconi under contract with the Canadian Army. 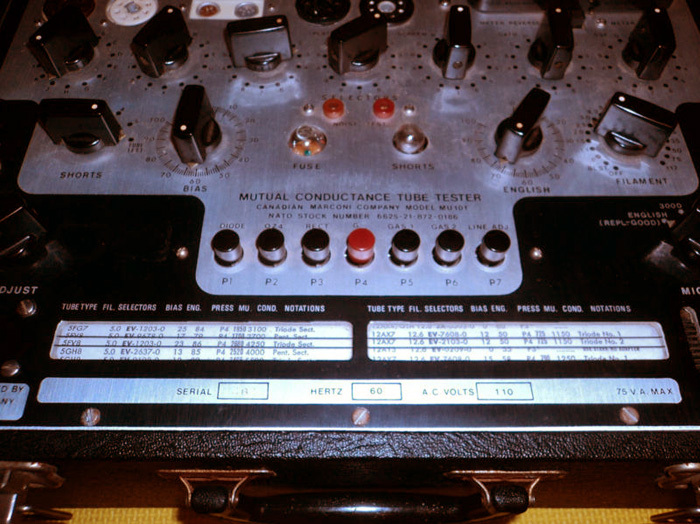 The Army provided the Stark 9-66 testers that were to be upgraded. .
All MU101 photos in this table via E-bay.